Mentor Public Library is celebrating everything Jane Austen this Autumn. Registration is required for all of the programs except the Austen in Autumn Film Fest at Atlas Cinema and most of the book discussions. These programs do not require registration. For all others, call 440-255-8811 x 215 or go online to register for these free events. Create a short video inspired by the romance and relationships of Jane Austen for a chance to see your work on the big screen at Atlas Cinema during the Austen in Autumn Film Fest. Contact the library for information and rules. Now that you’ve read the book, talk about it! On Wednesday, September 16 at 6:30 pm. 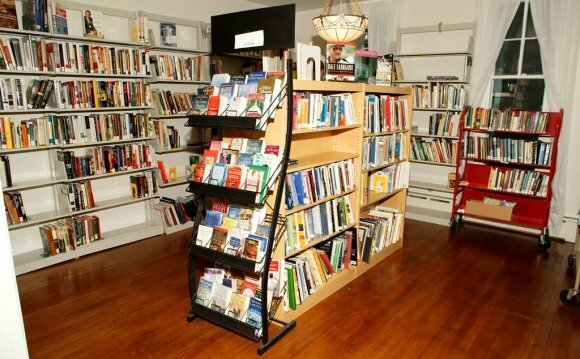 discuss Persuasion with the Headlands Book Club at our Headlands branch. Seating for this discussion is limited, so registration is required. 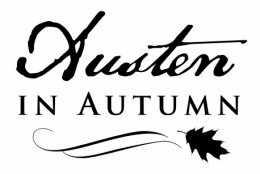 Join the Mentor Public Library at the Little Mountain Brewing Company on Thursday, September 17, 7 p.m. to celebrate the kick-off to Austen in Autumn! Receive your complimentary copy of Persuasion, purchase Austen in Autumn shirts, and enjoy Little Mountain’s ode to Austen with their Austentatious IPA. Little Mountain Brewing Company is located at 7621 Mentor Avenue. This event is sponsored by the Friends of the Library. Registration is required. Miss Jane Austen is coming to Mentor on Saturday, September 19, 2 p.m.! Jane Austen impersonator, Debra Ann Miller, will intrigue you with her representation of Miss Austen. Hear from Jane’s own lips what she is writing and all about her inspiration and life. For the casual reader and the devoted Janeite. Registration is required. On Monday, September 21, 6:30 p.m., Dale Olson from the Geauga County Bee Keepers will be here to present on bees, the life cycle of a bee hive during the course of a year, and about the health of bees in this day and age. Registration is required and begins September 7. Sponsored by the Friends of the Library. Now that you’ve read the book, talk about it! Join the Book Club for Men on Monday, September 21, 7 p.m., as they discuss Persuasion. This series celebrates the cinematic inspiration derived from Jane Austen’s works. 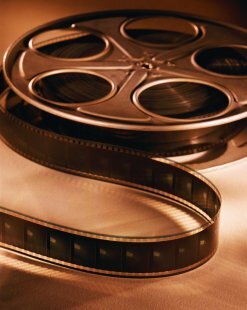 On Thursday, September 24, 7 p.m., enjoy a free showing of Roger Michell’s 1995 version of Persuasion at the Great Lakes Mall Atlas Cinema. Persuasion tells the story of Anne Elliot and her struggle to deal with her feelings for a lost love that has recently reentered her life. Some images and sequences may not be appropriate for all ages. Come learn about Jane Austen and the regency era through a British tea, dancing and crafts on Saturday, September 26, 1 p.m. Open to those in grades 1 to 5. Registration is required. Now that you’ve read the book, talk about it! Discuss Persuasion with the Monday Night Book Group on Monday, September 28, 6:30 p.m. Enjoy tea the Jane Austen way as we welcome representatives from the Sister’s Tea Room, on Tuesday, September 29, 7 p.m., to discuss and taste teas and other delicious British desserts. Registration is required. Now that you’ve read the book, talk about it! Discuss Persuasion with the 20/30 Book Group on Wednesday, September 30, 6:30 p.m. They will be meeting at Local Tavern (9470 Mentor Avenue). This series celebrates the cinematic inspiration derived from Jane Austen’s works. Enjoy a free showing of Amy Heckerling’s 1995 film Clueless at the Great Lakes Mall Atlas Cinema on Thursday, October 1, 7 p.m.
Clueless is a modern retelling of Austen’s Emma, a story of a well-intentioned matchmaker and the humorous misadventures that ensue as she navigates the world of love. Some images and sequences may not be appropriate for all ages. Join us at The Cleveland Candle Company (9516 Diamond Center Drive) on Saturday, October 3, 11 a.m., to learn a new take on an old classic as we make lovely scented candles from simple ingredients. Registration is required. Now that you’ve read the book, talk about it! On Monday, October 5th at 6:30 pm, meet at Redhawk Grill (7481 Auburn Road) for an engaging discussion led by a Mentor Public Library librarian. On Wednesday, October 7, 6:30 p.m., Dr. John Foster of the Mentor Public Library will give a lively talk on the career of Napoleon Bonaparte and the ways that it influenced life in Great Britain, the backdrop for Austen’s enduring and memorable works. Registration is required. Now that you’ve read the book, talk about it! On Wednesday, October 7th at 6:30, discuss Persuasion with the Lakeside Book Club at our Mentor-on-the-Lake branch. Seating for this discussion is limited, so registration is required. On Thursday, October 8, 7 p.m., enjoy a free showing of Ang Lee’s 1995 film Sense and Sensibility at the Great Lakes Mall Atlas Cinema. Sense and Sensibility tells the tale of sisters Elinor and Marianne Dashwood as they encounter love and heartbreak. Some images and sequences may not be appropriate for all ages. On Saturday, October 10, 11 a.m., pick your favorite silhouette art or passages from Jane Austen’s work and create charming pendants and magnets. Registration is required. Get ready to celebrate Jane Austen the undead way! On October 12, 6:30 – 8 p.m., Join us for zombie crafts, snacks and activities. Registration is required. On Tuesday, October 13, 6:30 p.m., enjoy an evening of light theater as the Geauga Lyric Theater Guild performs vignettes from Austen’s famous Pride and Prejudice. Registration is required. Now that you’ve read the book, talk about it! On Wednesday, October 14, 6:30 p.m., meet at Wildwood (7645 Little Mountain Road) for an engaging discussion led by a Mentor Public Library librarian.